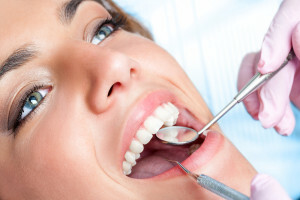 This examination allows us to identify specific problems and develop a treatment plan for you. The results of the examination will be discussed with you at the end of the visit, detailing the treatment plan, along with recommendations and estimated fees. If you have models/radiographs from a previous dental office that are less than three years old, we would appreciate you contacting that office and bringing them with you. It will make your comprehensive exam easier and more efficient. New Patient Form is available online. Please print and fill out this form regarding your medical and dental history. You can bring this form with you to your appointment. Please arrive fifteen minutes prior to your appointment in order for our receptionist to complete your registration. Children under the age of eighteen must be accompanied by a parent or guardian on their first visit. If there is any specific condition of concern in your past medical history, please contact our office before your first appointment. Patients with certain medical conditions might require pre-medication with antibiotics to prevent bacterial endocarditis.